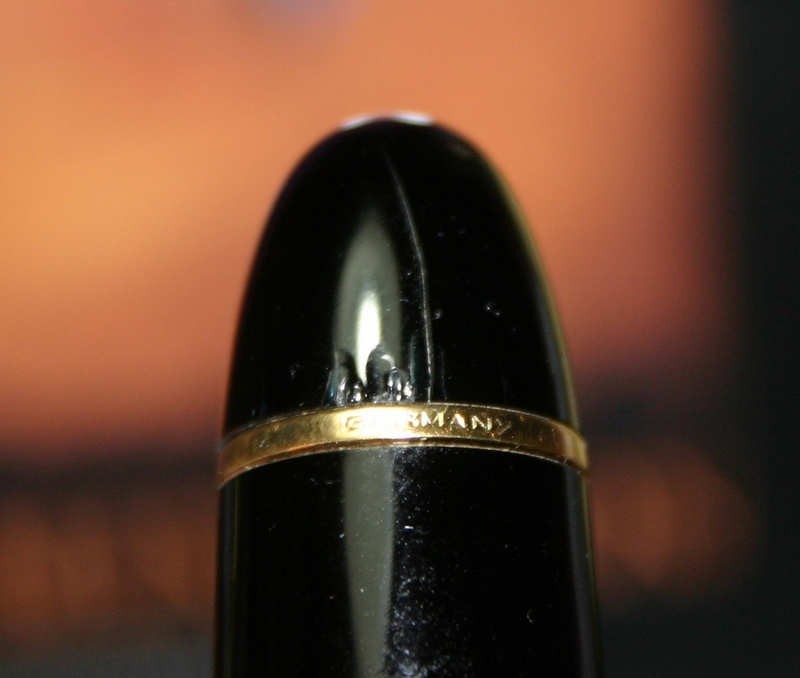 So, I will be the first to admit that I have said nasty things about MontBlanc, and those who buy their pens. If you look, you can find all over Fountain Pen Network... my disapproval of the company, the pens, and most especially... the cost. 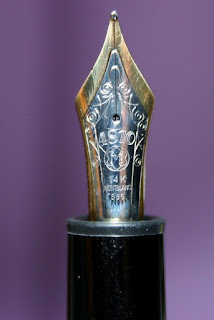 I have been using fountain pens for a long time. I first used a dip pen from HobbyLobby... 20 years ago... when I was in grade school. I made quills from goose feathers my sophomore year of high school (not very practical... but amused my English teacher. 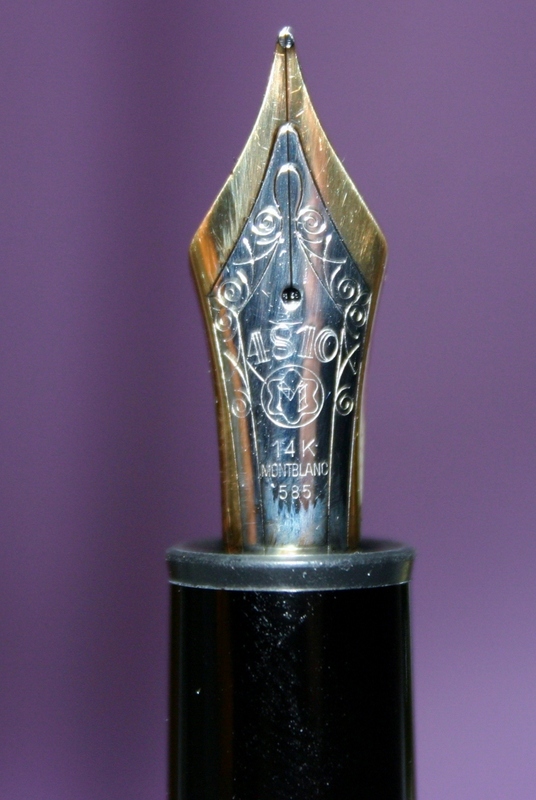 They did not last for long...) and I used a kit-pen with a steel nib for college. 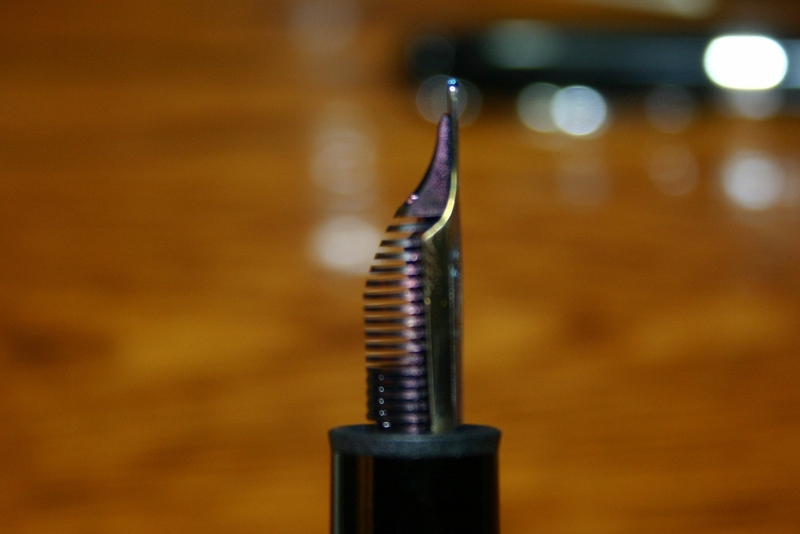 I have been through Lamy, Sheaffer, Waterman, Pelikan, Pilot, Noodler's. 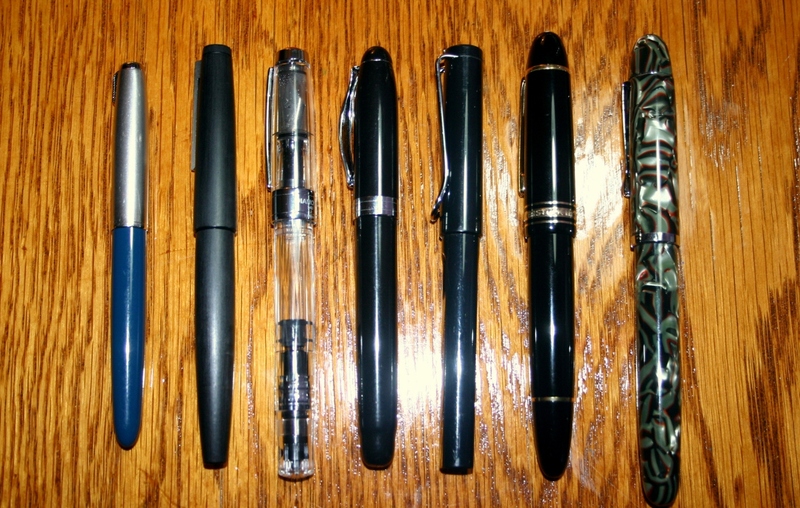 Platinum, Parker, Stypen, Wearever, Retro 51, and even some Hero pens. 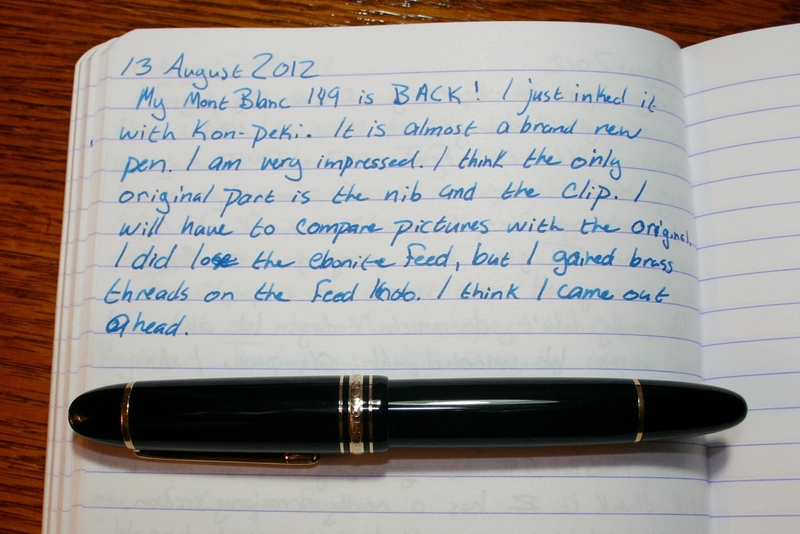 Through it all, I swore I would never use a MontBlanc. Shawn Newton ... the infamous 'watch_art' may be the most laid-back fountain pen user I have ever met... actually he may be the most laid back person I have ever met that still works in education. 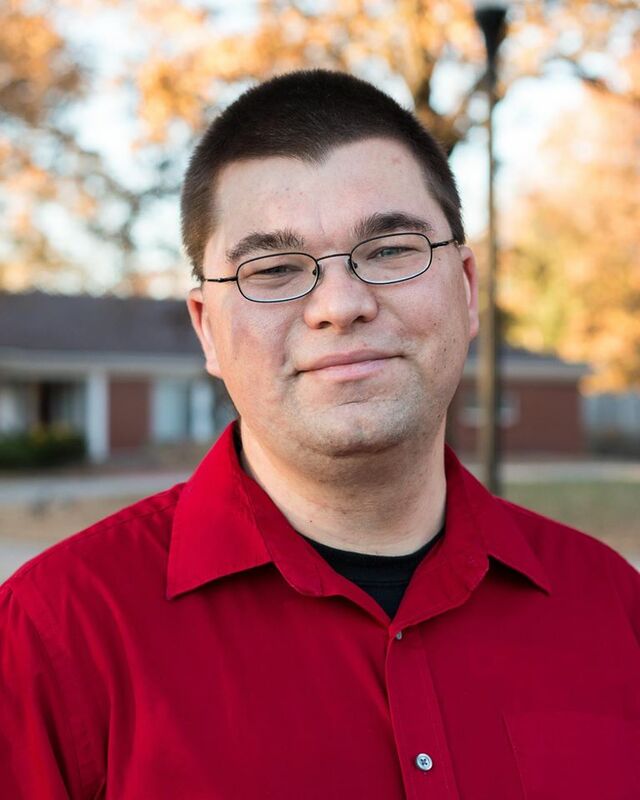 I went down to visit him in Arkansas, the last time I was down south. 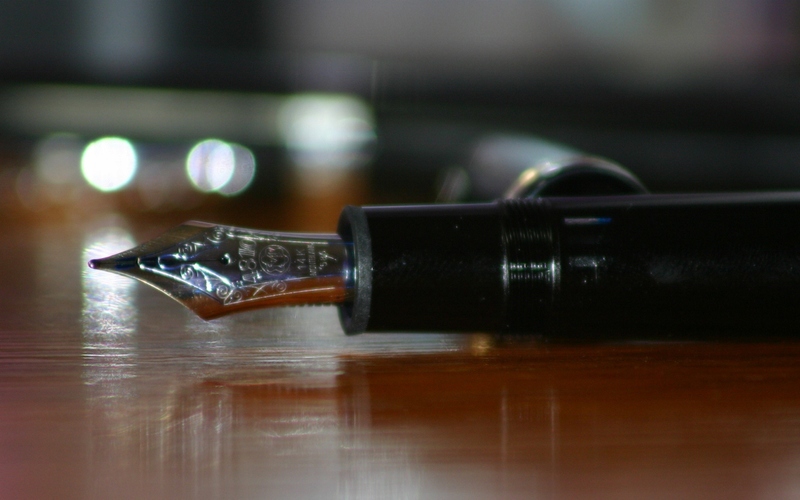 We talked about pens, ink, students, and all the personalities on Fountain Pen Network. I realized that I was as judgmental about somethings as some of the people I complain about... the anti-this or the anti-that. He handed me a MB 149 and I thought it was a nice pen... but I didn't know if I thought it was the end-all-be-all. 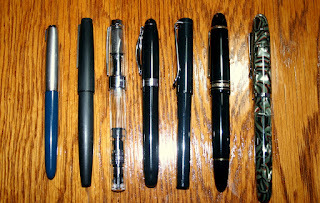 That trip, I also got to go to a pen shop in Little Rock... Vanness... and played with a Waterman Exception Slim, a Sheaffer PFM (or rather the reincarnation... think it is called the Legacy), and a Pilot Metal Falcon. I loved the look of the Waterman and the nib wasn't bad, it was just so scrawny... it hurt. 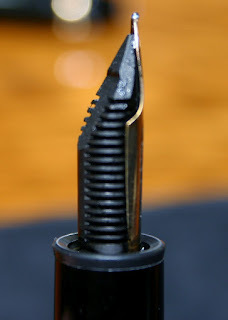 I hated the the look of the Sheaffer Legacy, but loved the feel in my hand; the nib was... generic. I loved the weight of the Metal Falcon... but the Soft-Broad skipped waaaay too much. I was lost as to what pen I wanted next.... everything seemed inadequate. Finding a rough manufactured date was not difficult using this resource: http://www.fountainp...montblanc-149s/ It had plastic threads on the filler mechanisum, a 14K two-tone nib, and a split ebonite feed. Some of that can be seen below. It is a late 80's model. 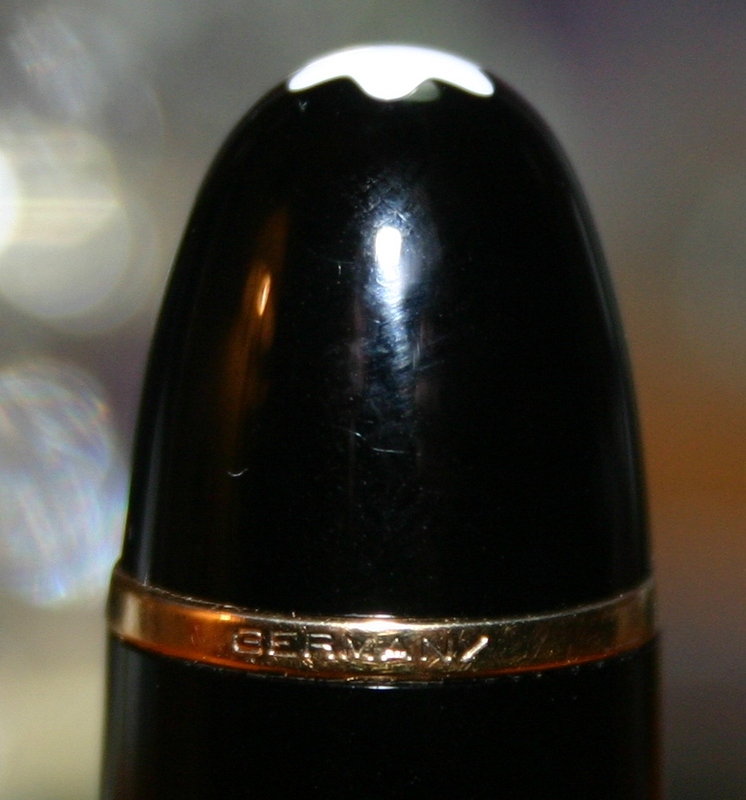 I did send it off to MontBlanc. It took 10 days from when I put it in the mail to when I got it back... this afternoon. I did have some issues with the quote... I called customer service. Both times I called, I talked to Miriam. She was one of the nicest, most knowledgeable, customer service reps I have ever worked with, and everything was taken care of to my satisfaction. I did loose a few things... They replaced the entire body... and the entire cap... 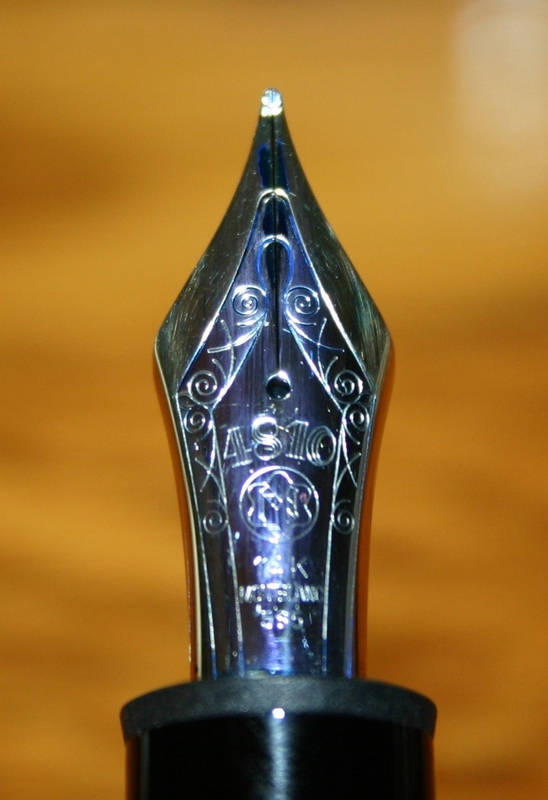 The only original parts are the clip and the nib. The most important part... the finial was fixed. All things considered, I think I came out ahead. Considering I got a brand new pen (save the nib) for a very nominal fee... I think I came out ahead. How does it feel?.... well... do you like big pens.... If you answer "YES" than it is a very comfortable pen. The first night I had it inked, I wrote 6 extra pages in the journal... it was just so comfy. Here's how it compares to some others. Front to back, or left to right: Parker 51, Lamy 2000, TWSBI 540, Noodler's Ahab, Lamy Safari, MontBlanc 149, Noodler's Neponset. It is a big fat pen... no denying it. It does not fit in my shirt pocket very well. It fits fine in a sports blazer inside pocket. It will not fit in my pen case. 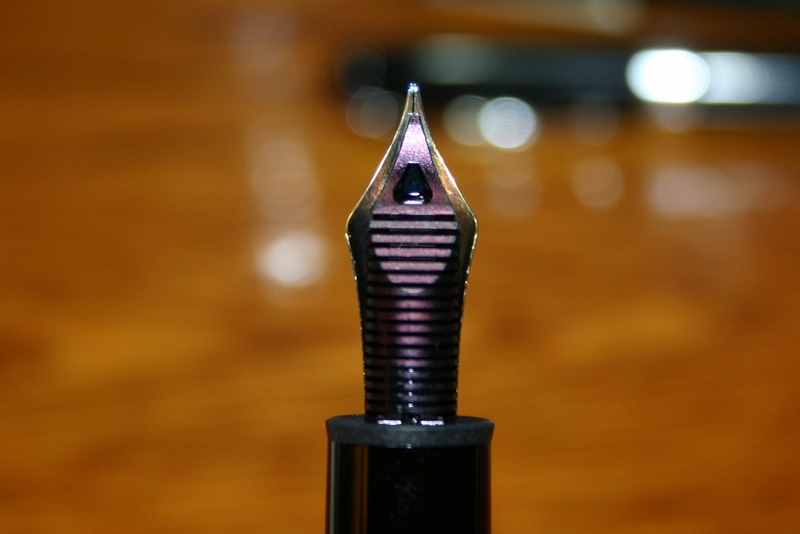 I have really considered getting a Franklin-Christoph Penvelope 6. CAUTION: Don't use this pen outside... you will get a sunburn on the bottom of your nose. Every profession has its tools. 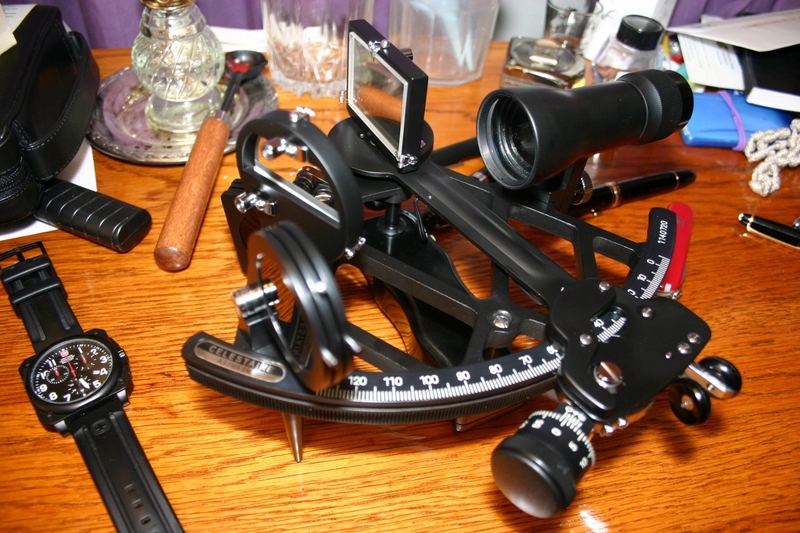 Sometimes the name on the tool is Klien, Apple, CodaBow, Global Knives, Dewalt... and sometimes it is Montblanc. I have offended a lot of you in the past. I was wrong. I take back everything I said about them being COMPLETELY overrated (maybe just a little tiny bit overrated). I take back what I said about the price... they have their reasons. I am not saying I am sold over. These may be the only MB pens I ever have, but I understand. I was not disappointed... 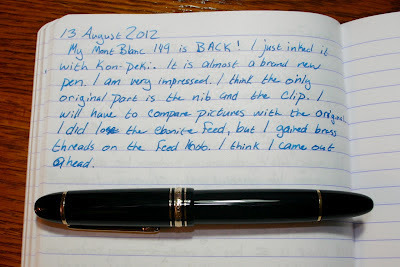 I will say the MB 149 is one of the first pens in a long time that did not disappoint me... I will start calling y'all Montblanc users... not people who have been used by Montblanc.